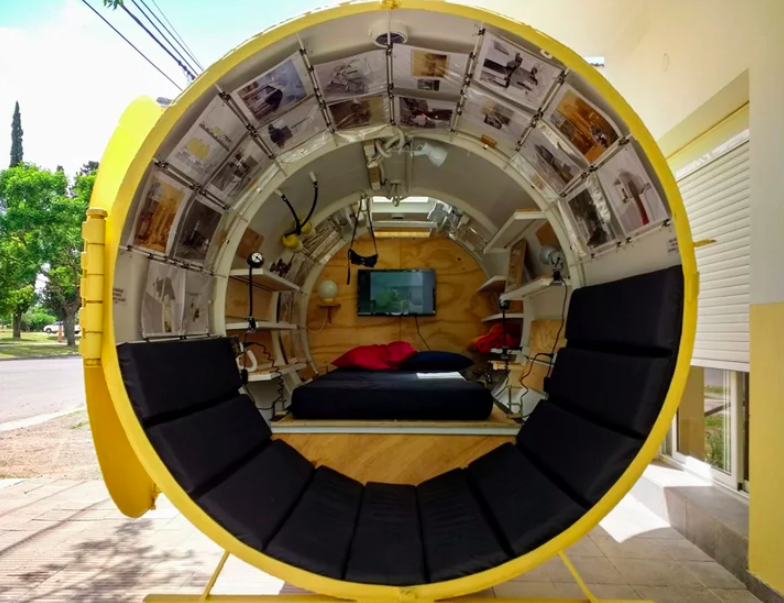 People convert all kinds of unlikely objects into homes: sheds, shipping containers, school buses and even decommissioned wartime bunkers. 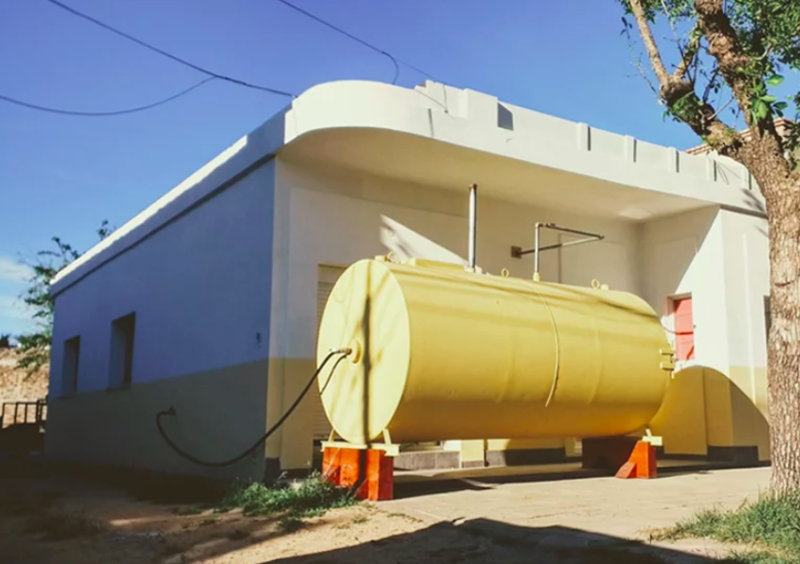 These creative reclaimed homes can range from tiny to surprisingly spacious, but rarely are they quite as micro-sized (and round) as one particular project by Argentinean architect Martín Marro. “Bunker” began as an exploration of Marro’s memories of his childhood home, which was converted from a 1940 service station. The architect sought to reconstruct not the physical space itself, but rather how he remembers it looking and feeling through the eyes of a child. As part of this venture, Marro found an old diesel tank with which to fulfill an unusual vision. From outside, the bright yellow tank still looks just as it did when it was in use. 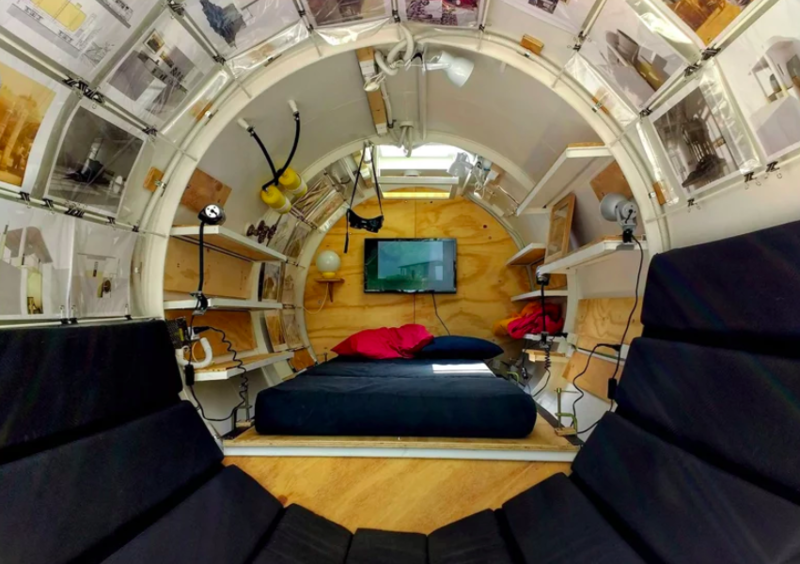 But open the door and you’ll find an unexpected sight: an incredibly compact dwelling complete with a lounge chair, bed, television, lighting and storage space. Photographs of his own architectural projects are fixed to the rounded walls. 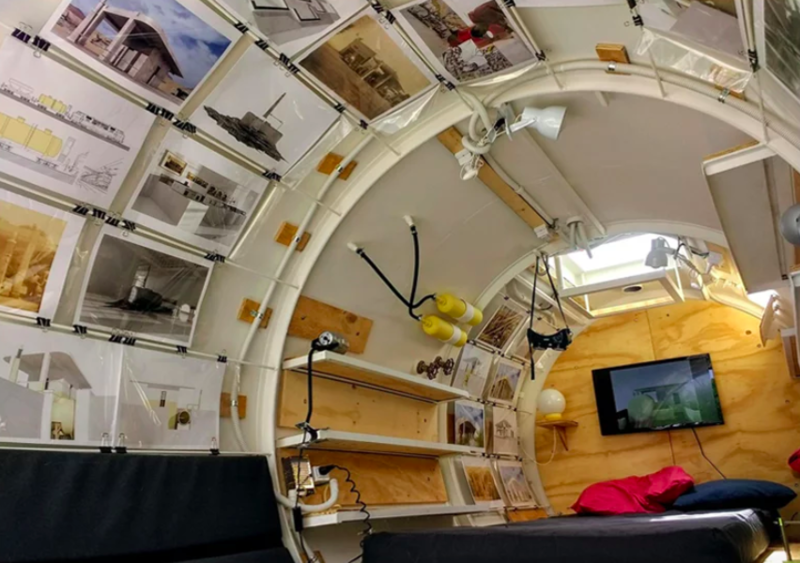 Mimicking a tank that stood outside his childhood home, the micro house essentially compacts Marro’s memory of the experience into a portable dwelling. “I transformed it into a bunker-cabin for then to seal it and perpetuate it, capturing time, thinking that the space I make present is an archeology of the future,” he says. 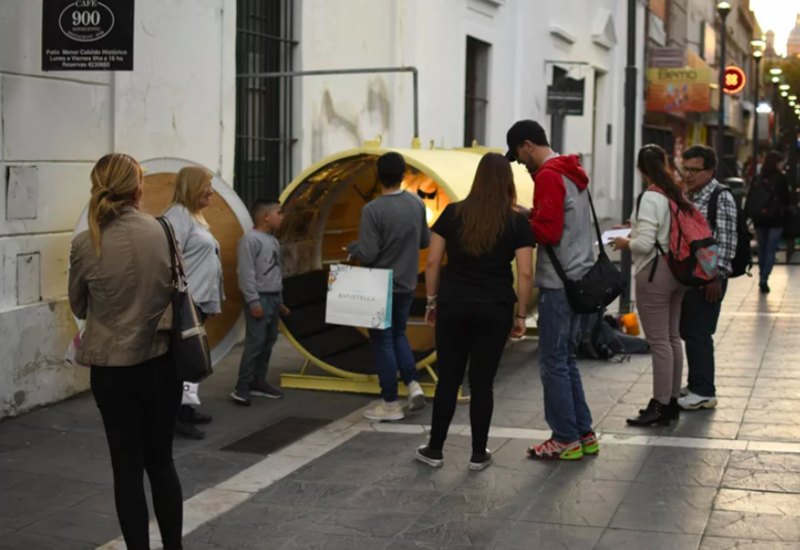 The “Bunker” cabin was initially put on display outside Marro’s actual childhood home before traveling to the #mac2018 contemporary art fair in the city of Córdoba-Argentina.